Rinse your quinoa for two minutes in a fine mesh strainer, if you so desire. Use coconut oil to grease the inside of your rice cooker bowl (reduces sticking after cooked). Add quinoa and chicken broth to rice cooker, close lid and set to "rice" setting (I use the brown rice setting). Let quinoa cook in the rice cooker as normal, and chop your cilantro. When the quinoa is done cooking, open the lid and let it cool for about 5 minutes. Fluff the quinoa with a fork, and transfer to a medium bowl. Add garlic, lime juice, cilantro and salt. Stir until evenly distributed. Serve, distribute servings for meal prep, or store covered in the fridge. 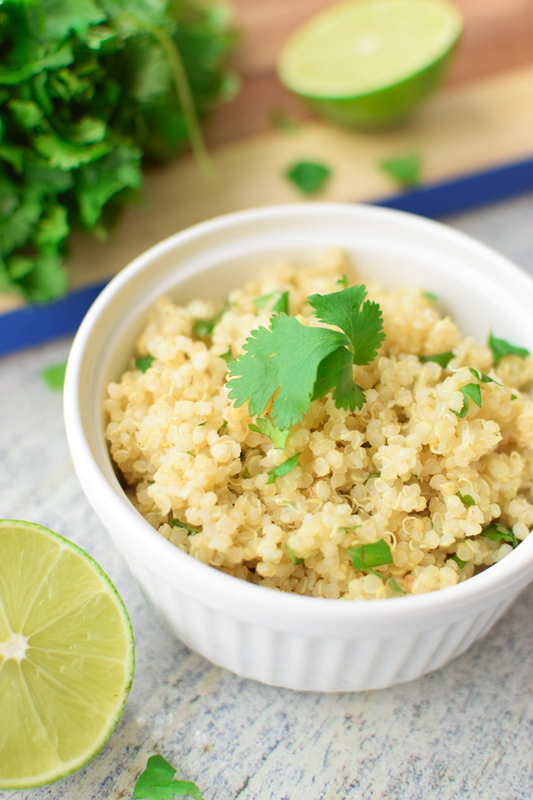 The Easiest Cilantro Lime Quinoa on Project Meal Plan - The perfect side dish to sub for rice in any kind of meal! 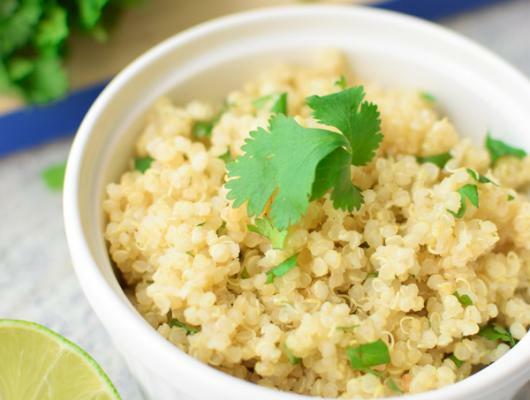 The quinoa is cooked in the rice cooker and mixed with lime, cilantro, garlic and salt. Super easy recipe that will impress!